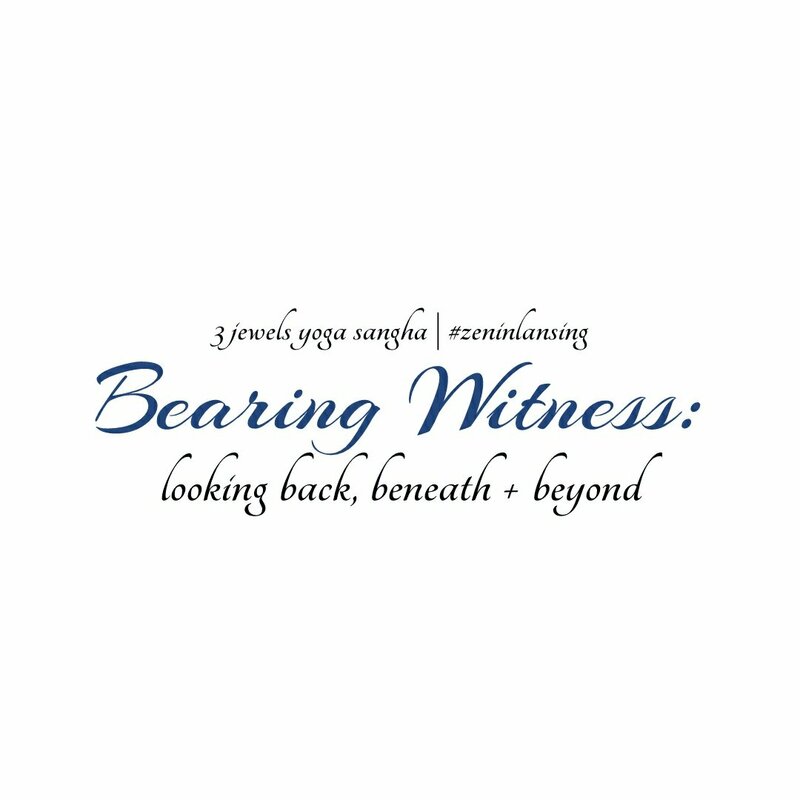 Our fall series, Bearing Witness begins this Sunday! Over the next few months, we’ll be looking back, beneath + beyond as we contemplate a range of queries as practices related to our encounters with joy, sorrow, in/justice, forgiveness and reconciliation. Doors open just before 11 AM. Centering begins @ 11:10ish. Doors are locked at 11:30 AM. The new end time reflects the reality of how our time together has organically unfolded. So I’ve officially extended the practice an extra 30 minutes to allow more space to enrich our silence, connection and insight. Whether arriving late or departing early, please enter and exit with mindfulness-–observing noble silence and, if possible, arriving/departing during the transition periods between practices.